Our 45w Generation 3 LED Corn Lights operate directly from the mains and do not require control gear for them to work. 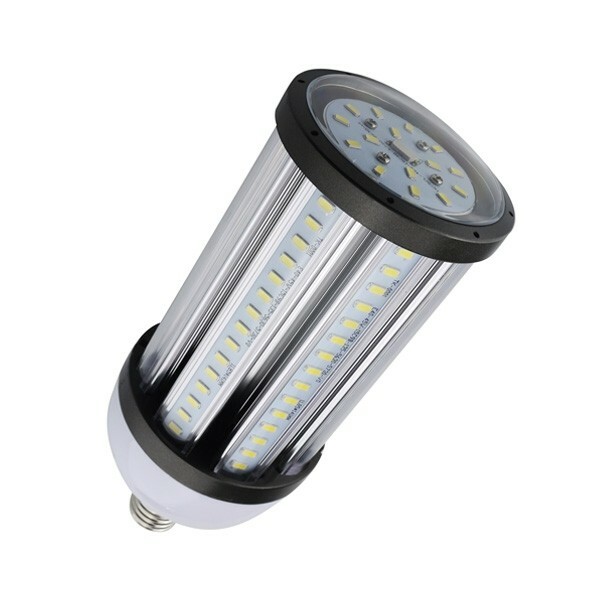 Generation 3 LED Corn Lights are constructed without a fan by using an aluminium heatsink to dissipate heat to keep the Samsung 5630 SMD LED at its optimal operating temperature. This is important as it means that our Generation 3 LED Corn Lights can be used in both enclosed and open luminaires and overcomes the problem of older generation Corn Lights whereby if the fan fails due to overheating the lamp also fails. We always use a Rubycon capacitor in the driver of our Corn Lights due to their reputation as the most reliable capacitors that are available to eliminate driver failure due to rectification of the capacitor. All of our Generation 3 Corn Lights come with a 5 year warranty. Please note – LED Cornlights operate directly from the mains supply if the lightsource operates from a ballast and ignitor this will need to be bypassed.